Promutuel Insurance du Lac au Fleuve recently made a donation to the Canadian Ski Patrol of Mont Lac-Vert as part of the "Au cœur de votre collectivité" scholarship program. The organization used the donation to purchase an emergency response vacuum mattress. 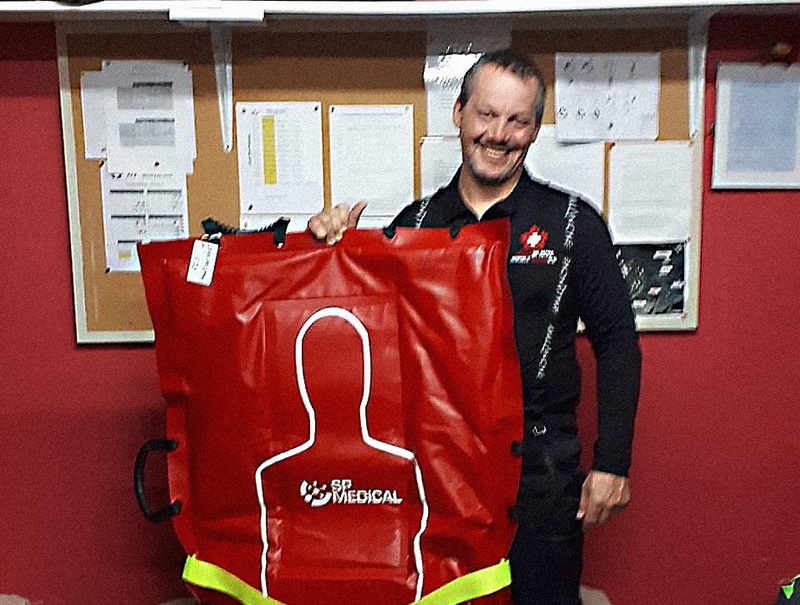 Carl Plourde, head of the Mont Lac-Vert CSP, poses proudly with the mattress that will be used to immobilize patients who have been injured in an accident.